Arsenal have reportedly made an approach to sign Ivan Perisic on a temporary basis from Inter Milan this month. The 29-year-old was heavily linked with a move to Manchester United in the summer of 2017 but a deal never materialised with him signing a new long-term contract. Despite this, his future has been a regular discussion point of late and according to BBC Sport, the Gunners have now made an approach to lure him to the Premier League. It is added that the Gunners have only made a loan approach for the 2018 World Cup finalist, though they are prepared to include an obligatory £35m buy clause in the deal. 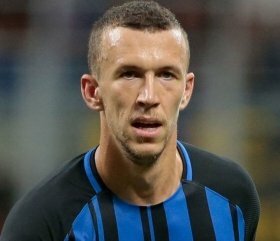 Perisic has not been in the best of form during the ongoing campaign but he has still managed a credible tally of three goals and five assists for Inter across all competitions. Meanwhile, Perisic does not remain the sole target on the Gunners' shortlist and they are eyeing a midfielder with Barcelona's Denis Suarez and Paris Saint-Germain's Christopher Nkunku on the radar.